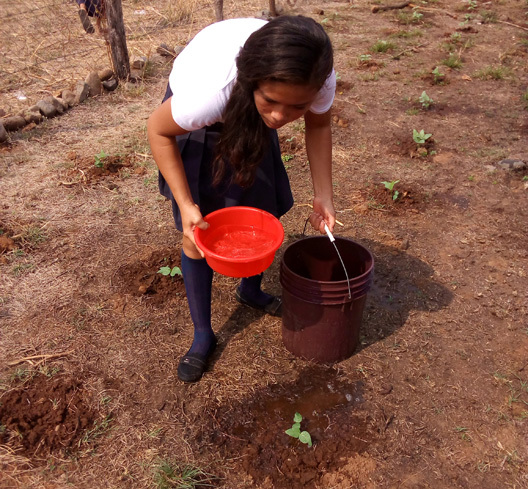 It’s planting time at the school garden in La Carreta. 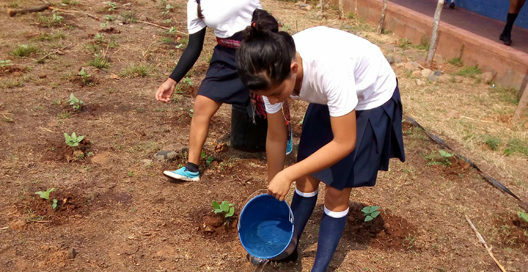 Students of Instituto August Cesar Sandino bring water from a property near the school to water their young bean and squash plants until the school’s well is dug. 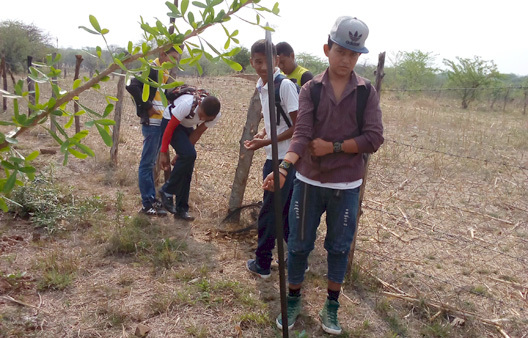 Some students are repairing a fence to keep vacas and chanchos (cows and pigs) out of the garden, as well as a wandering caballo (horse). 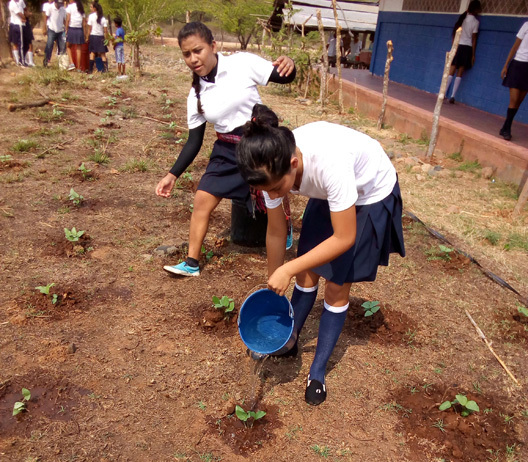 When these verduras are harvested, some of that harvest will feed the students for their mid-morning recess-time meal, and some may be shared with their families.